Have a new iPhone X but still want some important data like text messages from old iPhone. What can we do? How can we transfer messages from old iPhone to new iPhone X easily? Well, to achieve the goal effortlessly and safely, take the assistance of iRefone. This professional iPhone data recovery software be used to take an extensive backup of your data as well. Not only messages, you can use it to back and move other data files as well like photos, videos, music, contacts, and more. It has Windows and Mac versions. Just download the right version please. Next, detailed steps will be shared to help you transfer text messages to iPhone 8 from old iPhone. Firstly, make sure you have backed up your old iPhone with iTunes, and then, follow the below steps to transfer all text messages from old iPhone to iPhone X. Run iRefone. 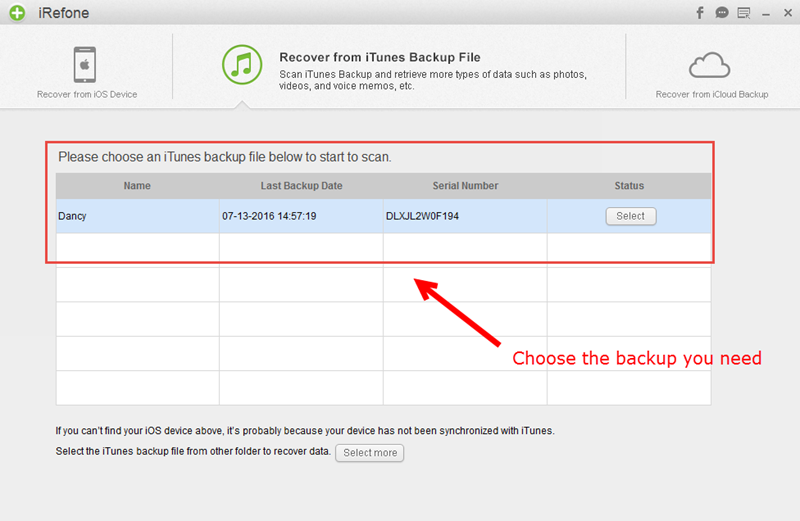 Choose Recover from iTunes Backup mode. 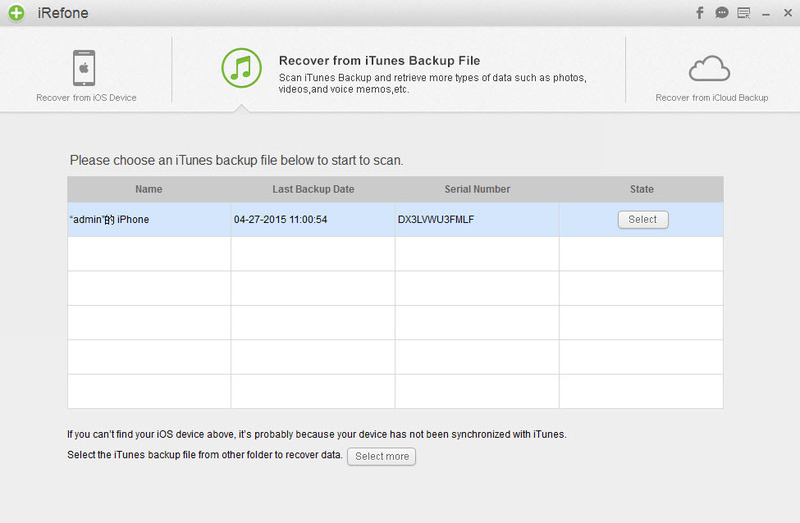 All iTunes backup files will be listed and you need to select the iTunes backup for your old iPhone. Bear in mind to connect your new iPhone X to the computer in order to transfer messages to it. Preview and choose messages to transfer. Now after scanning, you can have a view at those messages and then, select them, click Recover to Device button to transfer those messages to new iPhone X. Notes: You need to turn off Find My iPhone before transferring messages to iPhone. Don’t cancel it when the program is running. Now under the help from iRefone, you have transferred all text messages to your new iPhone X from old iPhone. iPhone Contacts Missing Names? Resolved!